Our new loading dock gate providing fall protection at your dock door. 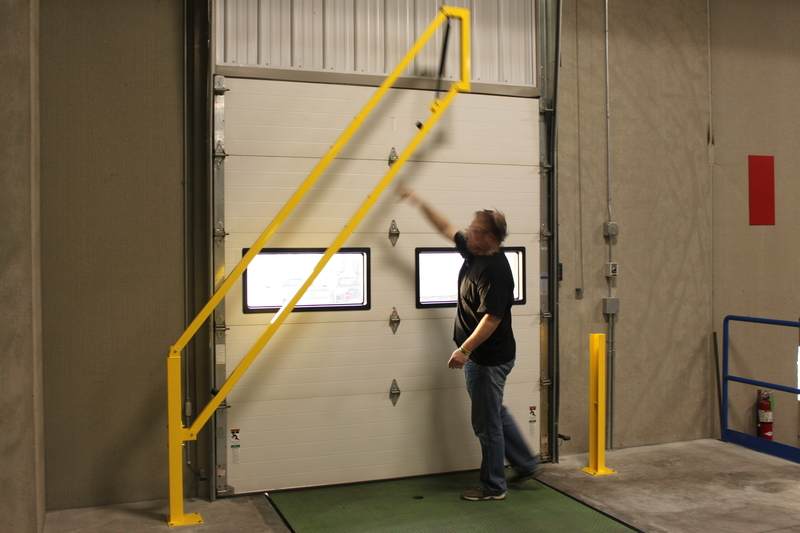 I often receive calls from customers who are looking for a gate system to provide fall protection for their workers at bays when the garage / overhead door is open. 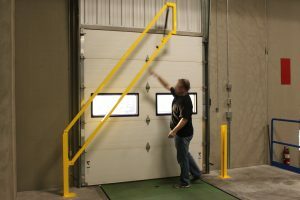 Today I have the pleasure of announcing a new gate in our portfolio designed for just such a situation: The Loading Dock Gate. 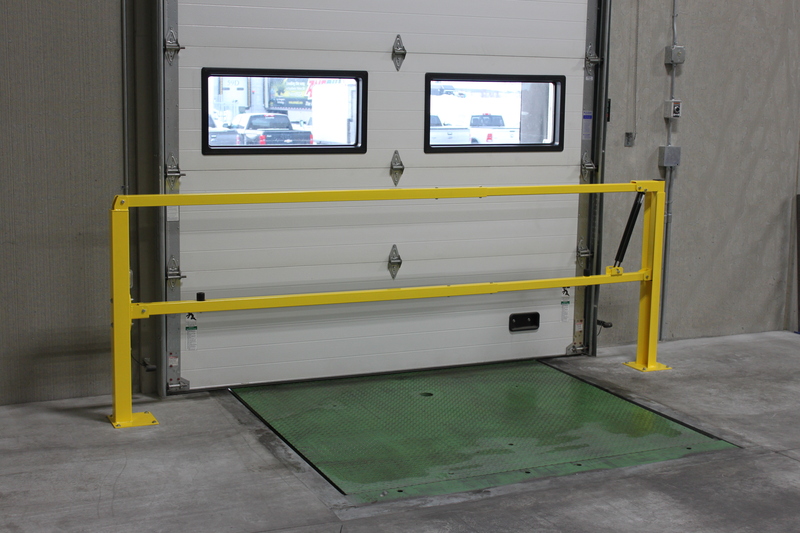 The Loading Dock Gate meets OSHA Standard 1910.23(c) providing OSHA compliant railing for your personnel at loading dock bays, which can be quickly and easily pulled out of the way. The gate has a 42” and 21” high railing with a counter balanced design to swing up vertically 90° out of the way with only one hand. Its unique compact design folds up as it pivots up and out of the way without pinch points. When you’re finished unloading and ready to protect the opening again, the slam proof dampening system keeps the gate from closing hard as it is lowered. The Loading Dock Gate is designed to be adjustable to fit standard 8’ or 10’ loading docks, and requires a 155” to 179” clearance height, depending on the width, to cleanly swing out of the way. Constructed from heavy gauge steel with a powder coat finish, the Loading Dock Gate is built to last through repetitive use. If the Loading Dock Gate looks like it would work for you, please let us know, and we’ll be happy to work up a quote for you. 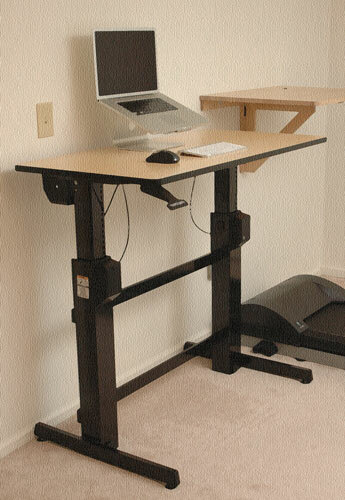 We’re going to try to keep a stock of these on hand at the factory so we can quickly ship them out to you. 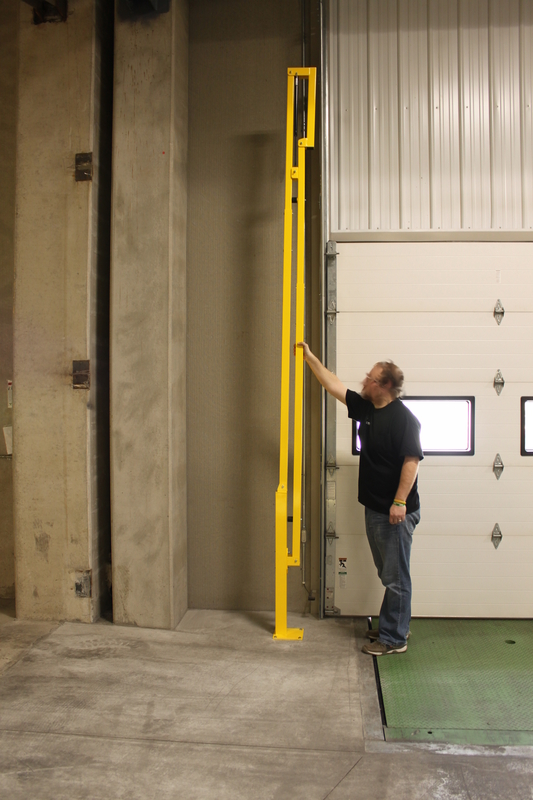 This entry was posted in Dock gate, Safety Gates and tagged dock gate, fall protection, loading dock gate, safety gate on February 10, 2017 by Derick.